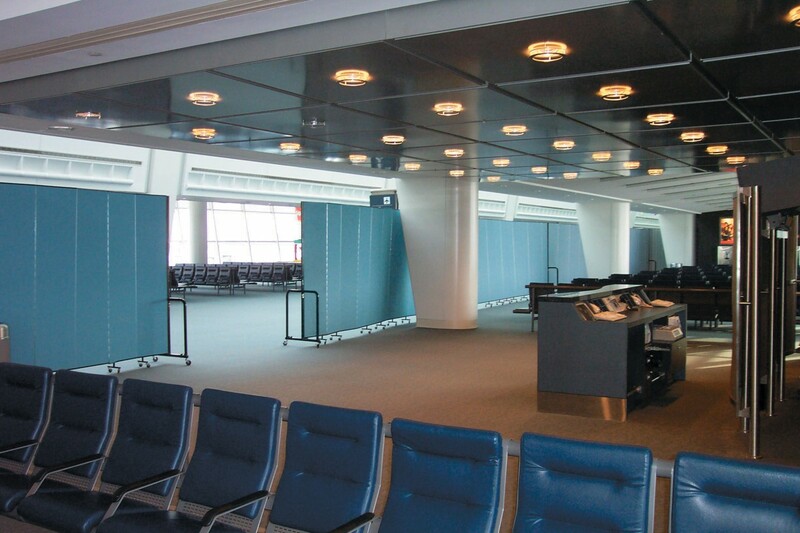 Uses: Airport, Corporate, Government, Other Markets Lengths: 13 panel 24'-1" Heights: 7'-4"
Set up Screenflex Portable Dividers at any place in your facility where you need to divide space or create private areas, like at this New York area airport. 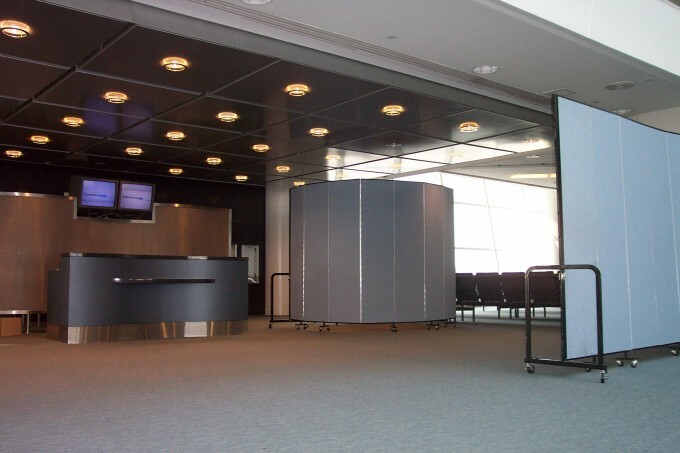 Whether you need to limit access to the gate or want to create a separate or temporary area for scanning or inspections, a Screenflex folding partition will allow you to set up these areas quickly. Later, the temporary walls can be moved to a new area or stored away. Sturdy, durable and long-lasting, Screenflex portable walls are available in 6 heights and 6 lengths and 38 Colors choices. Units ship fully assembled and ready to use. Manage the space in your facility with Screenflex. Call us today at 800-553-0110 for a quote or to get a list of customers in your area.